The purpose of this study was to investigate effects of concurrent strength and endurance training (SE) (2 plus 2 days a week) versus strength training only (S) (2 days a week) in men [SE: n=11; 38 (5) years, S: n=16; 37 (5) years] over a training period of 21 weeks. The resistance training program addressed both maximal and explosive strength components. EMG, maximal isometric force, 1 RM strength, and rate of force development (RFD) of the leg extensors, muscle cross-sectional area (CSA) of the quadriceps femoris (QF) throughout the lengths of 4/15–12/15 (L f) of the femur, muscle fibre proportion and areas of types I, IIa, and IIb of the vastus lateralis (VL), and maximal oxygen uptake (V̇O2max) were evaluated. No changes occurred in strength during the 1-week control period, while after the 21-week training period increases of 21% (p<0.001) and 22% (p<0.001), and of 22% (p<0.001) and 21% (p<0.001) took place in the 1RM load and maximal isometric force in S and SE, respectively. Increases of 26% (p<0.05) and 29% (p<0.001) occurred in the maximum iEMG of the VL in S and SE, respectively. The CSA of the QF increased throughout the length of the QF (from 4/15 to 12/15 L f) both in S (p<0.05–0.001) and SE (p<0.01–0.001). The mean fibre areas of types I, IIa and IIb increased after the training both in S (p<0.05 and 0.01) and SE (p<0.05 and p<0.01). S showed an increase in RFD (p<0.01), while no change occurred in SE. The average iEMG of the VL during the first 500 ms of the rapid isometric action increased (p<0.05–0.001) only in S. V̇O2max increased by 18.5% (p<0.001) in SE. 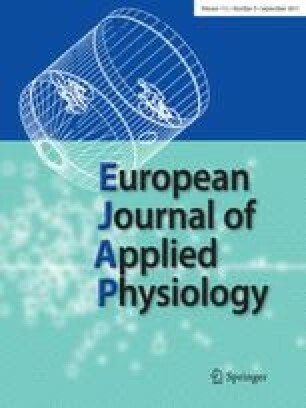 The present data do not support the concept of the universal nature of the interference effect in strength development and muscle hypertrophy when strength training is performed concurrently with endurance training, and the training volume is diluted by a longer period of time with a low frequency of training. However, the present results suggest that even the low-frequency concurrent strength and endurance training leads to interference in explosive strength development mediated in part by the limitations of rapid voluntary neural activation of the trained muscles. This study was supported in part by a grant from the Ministry of Education, Finland.